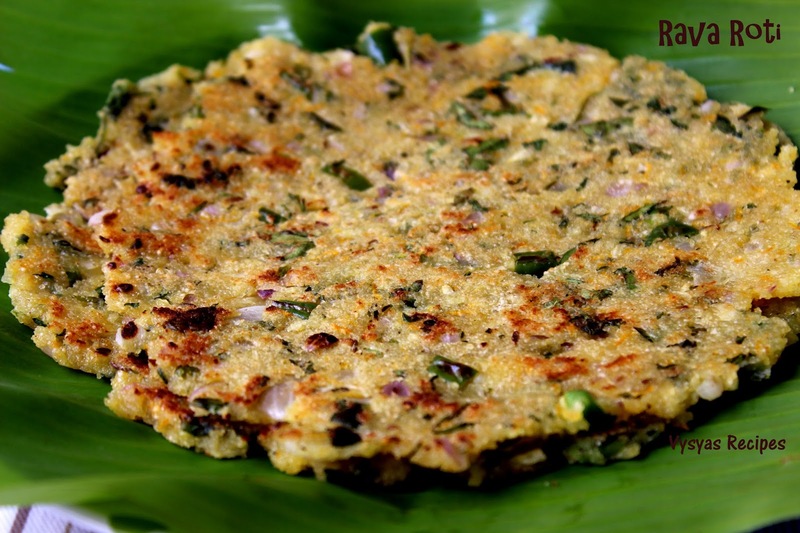 Rava Roti is an Instant,Easy, Yummy Breakfast/Dinner Recipe of Karnataka. It is made with Bombay Rava as the main Ingredient.Carrots,onions,chillies,cumin,coconut are added up, to give nice flavour. 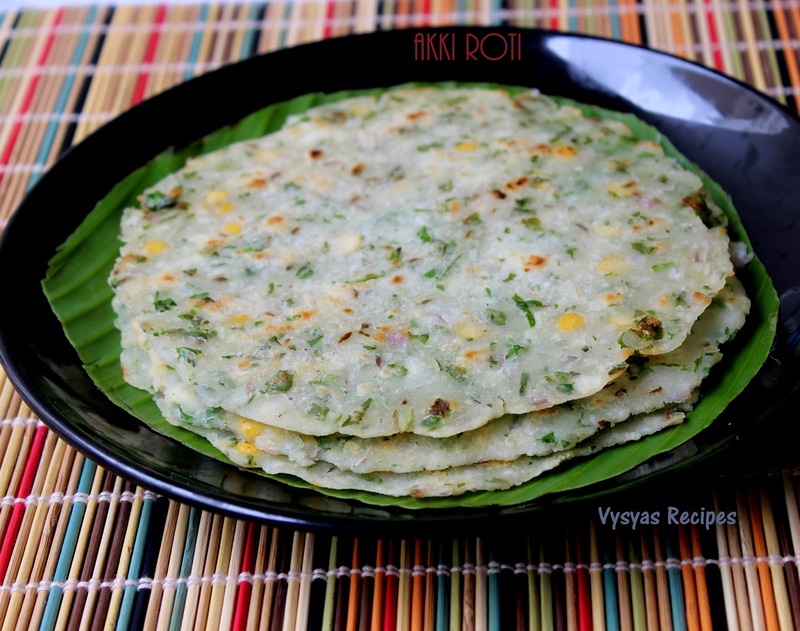 Adding curd gives softness to the roti.When you cook the Rava Roti, aroma of Rava, will be so good & it pulls you to eat the Roti immediately.I had this Roti in my child hood.The taste will be so good. I will be keep on asking my grand mother to make this Roti.She will make this roti for me. After a long time i am trying this Roti Now.Now we will learn the steps for this roti. yield : 4 - 5 . Sour curd - 1/2 Cup. coconut (grated) - 3 tbsp. Grate the Carrots & Ginger and keep it aside. Take a mixing bowl combine sooji, chopped onions,grated carrot,ginger,cumin seeds,Green chillies, coriander leaves, curry leaves,salt and Grated coconut. Mix everything by adding half cup of curd, then drizzle water little by little to get soft and spreadable dough.leave it as such for 15 - 20 minutes. Then take a plastic sheet or banana leaf grease with oil, take big lemon sized dough and spread it into a circular disc, in between wet your hands in bowl of water. Cook till, both the sides turns golden brown.Then remove it from tawa. Variations :you can add Greens like Methi leaves/ dill leaves/mint leaves/drumstick leaves to the dough for extra Nutrition. 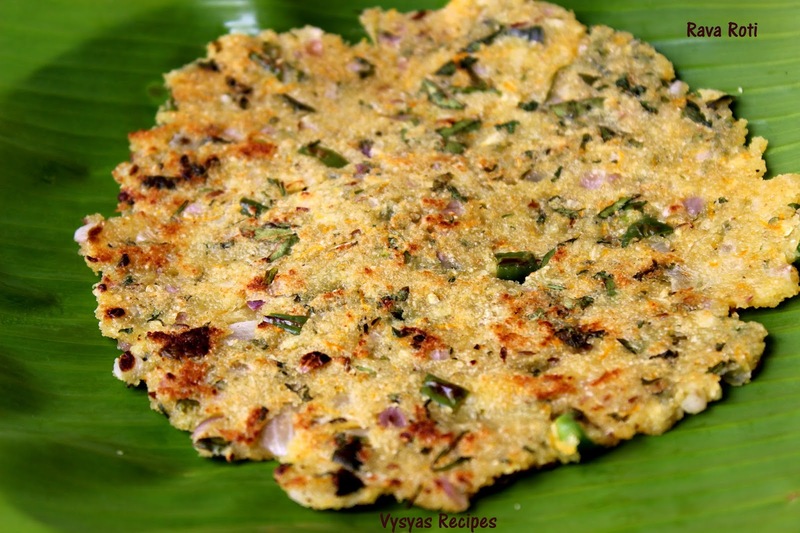 Serve with butter, Tomato Thokku,Andhra Tomato Pickle, Allam Pachadi or Coconut Chutney. Rava roti looks deeeelicious and flavorful!